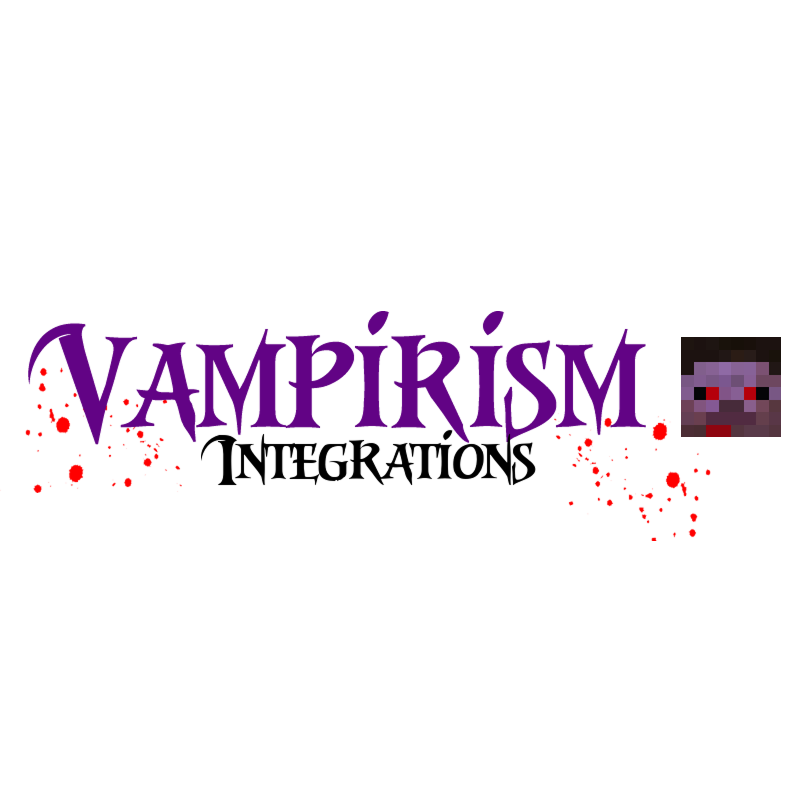 This is an addon to the mod Vampirism (therefore Vampirism is required). This mod handles integrations or respectively compatibility with other mods. While the JEI and GuideAPI integration will stay inside the main mod, any additional compatibility will be implemented here. Adds a converted (vampire) version of MCA's villager. No sun damage in biome "Omnious woods! No sun damage in biome "Darklands"
Why is this a separate mod? Mod integrations are a lot of work regarding Minecraft updates. If MC updates, but the other mods are not finished yet, I have to uncomment all the relevant parts in Vampirism codes, remove the dependencies and redo all these things once the mod eventually updates. It verifies that Vampirism's API is working, shows me areas for impovement and can act as an example. The most important integrations will stay in Vampirism (JEI, GuideAPI,? ), but any additional (hopefully many) will be added into the seperate mod. If you are already installing many mods or a modpack it should not make that much a difference anyway. Can you add more integrations? Feel free to suggest integrations for any other mod (on the Vampirism Forum thread or as an issue on Github). But please be specific about what exactly you want to see. Install the minimum required version of Vampirism (usually the recommend release).